Sunny Tam of 78JO has been working on a fair few characters/species that have caught our eye over the past few months. Ballball Fish 波波魚 to be exact, 4 species which have the same chrematistics as our own body shape and juicy lips! HA. Sunny has been hard artwork refining the designs as well as going through various colour testing stages. Yesterday Sunny quoted saying that the Ballball Fish’s are heading to the factory. Which Ballball Fish do you like the most? Ballball Fish not catching your eye? how about Fishman?! Ballball Fish with a little cosplay? 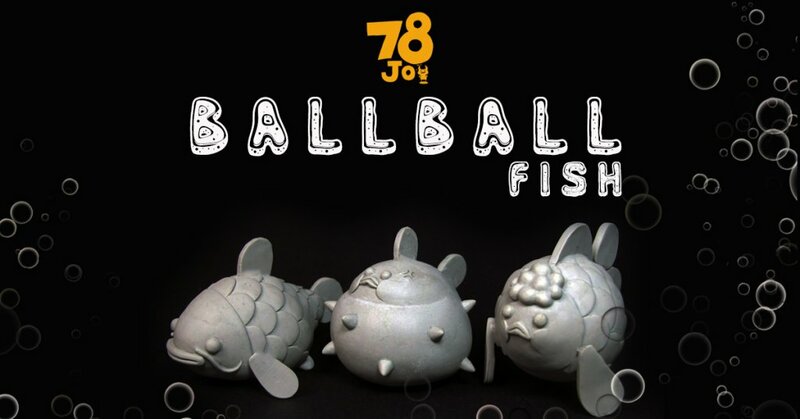 From what we know, Ballball Fish series By Sunny Tam of 78JO are already heading to the factory and we wait for the first pull to be revealed. We want to congratulate Sunny Tam for creating Ballball Fish and showing us there’s nothing to be ashamed about having a round body and rubber lips Ha Ha HA. Stay tuned for further info.